Global Servicing Network (GSN) delivers extraordinary customer Care to Card Members, merchants and commercial clients around the world while providing world-class credit, collections and fraud services. Customer Fulfillment Network (CFN) team delivers extraordinary Customer Care to Card members. Our aim is to deliver the world's best customer experience every day by resolving Card Members inquiries effectively. 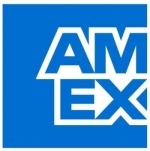 - Review AMEX Policies and Procedures, analyze, identify and research the inquiry within specified timeframes. - Deliver High Standards of Customer Service by providing Superior Customer Experience to the Card Members. - Deliver extraordinary customer care by responding to questions concerning customer accounts in a fast-paced, structured customer care environment. - Grow and nurture customer relationships on every interaction that results in measurable customer value. - Balance customer interests with the interests of American Express. - Support any new initiatives in the Directorate. - Deliver to the Employees, customer, shareholder metrics as per Goals. - Suggest Process Improvements/Changes Achieve & Ensure Customer First Resolution. - Work With Other Operations Departments And Customer Groups To Support New Product Launches, Promotions etc. - Ensure adherence to quality and compliance guidelines. - Actively uphold the blue box values by not engaging in behaviours that do not support our corporate objectives. - 24x7 work environment (Saturdays working applicable per business requirement). - Ability To Think Within the Framework Of Policies And Procedures And Yet Provide A Customized Solution.